The 2000 New York Jets season was the 41st season for the team, and the 31st in the National Football League. 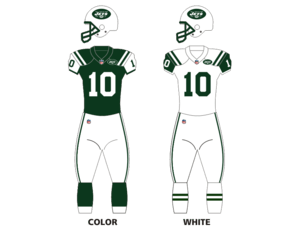 It was also their first under the ownership of Woody Johnson, who purchased the team in January 2000 from the estate of former owner Leon Hess. The team tried to improve upon its 8–8 record from 1999 under new head coach Al Groh, who became the successor for Bill Parcells after Bill Belichick abruptly resigned to take the same position with the New England Patriots. Although they managed to finish one game better than they had in 1999, their 9-7 record (including three losses to close the year) was not enough to make the playoffs. Shortly after the season ended, Groh resigned as coach to take the head coaching position at the University of Virginia, his alma mater. Shortly after that, Parcells stepped down as Director of Football Operations and retired from football. Like his previous retirement, it proved only temporary and Parcells was back in the NFL in 2003 as the head coach of the Dallas Cowboys. The Jets were ranked 12th in the NFL in total offense and finished tied with Philadelphia for 10th in total defense. NFL 2001 Record and Fact Book. New York City: Workman Publishing Company. ISBN 0-7611-2480-2.